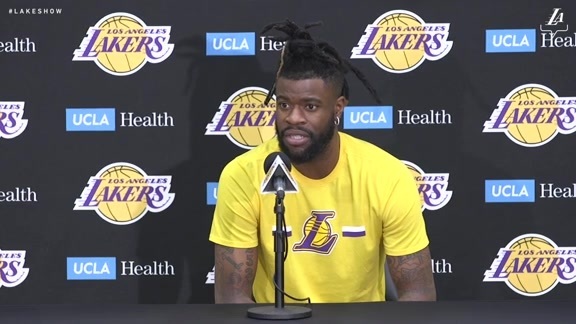 Reggie Bullock sinks the 3-pointer. 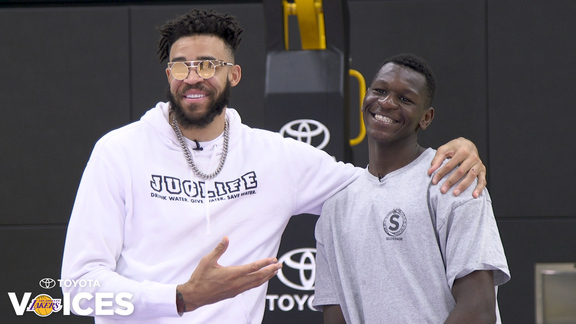 Lakers staff members helped local inner-city youth suit up off the court for their senior proms and graduations. 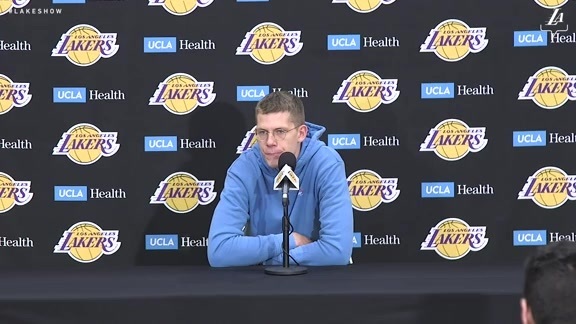 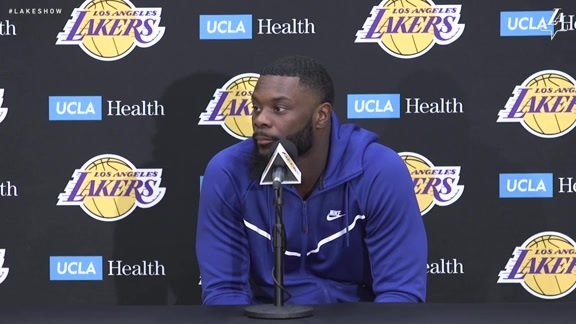 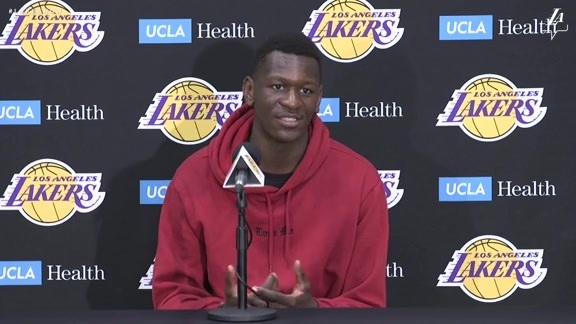 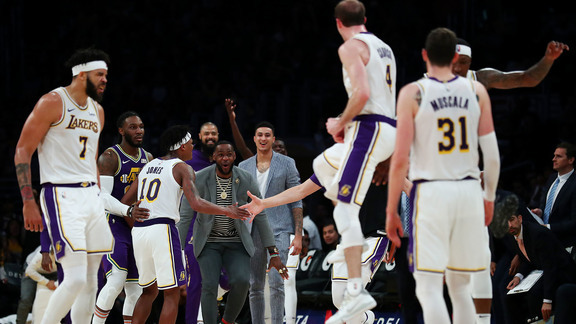 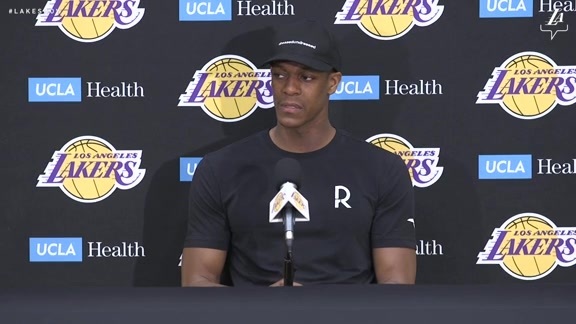 Isaac Bonga talks about his first season in the NBA, and how he plans on improving during the offseason. 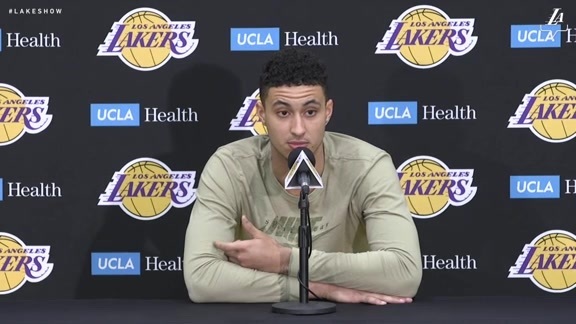 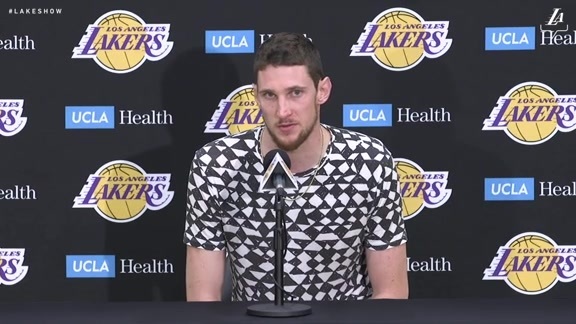 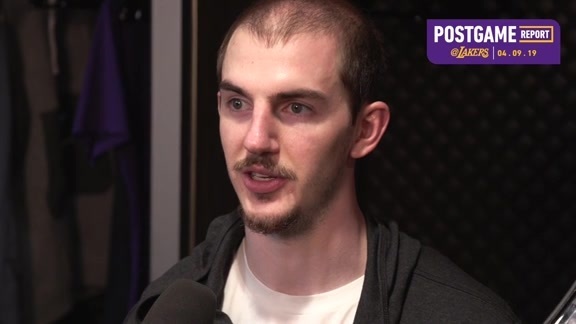 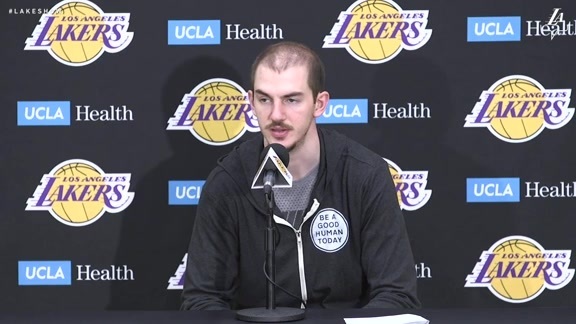 Luke reflects on the season and what he’ll take away from it. 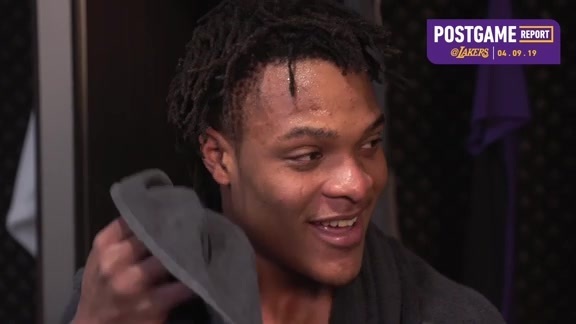 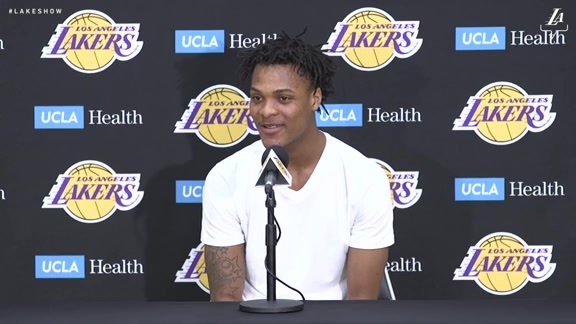 Jemerrio Jones talks about taking advantage of his opportunity in the NBA, and recording his first double-double. 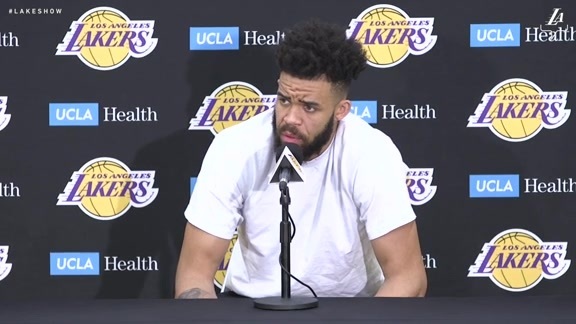 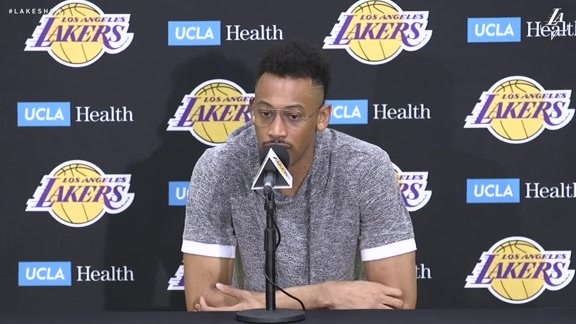 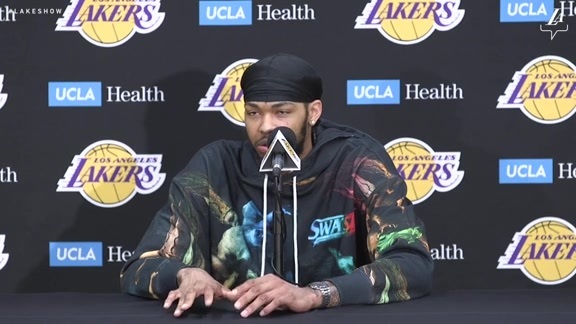 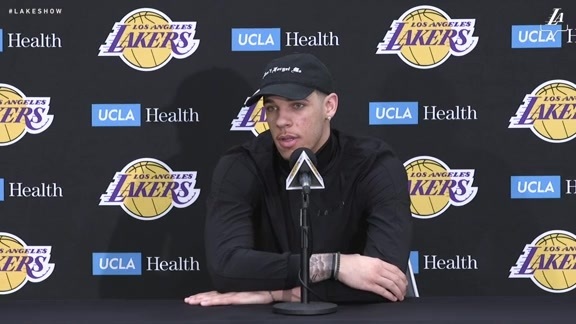 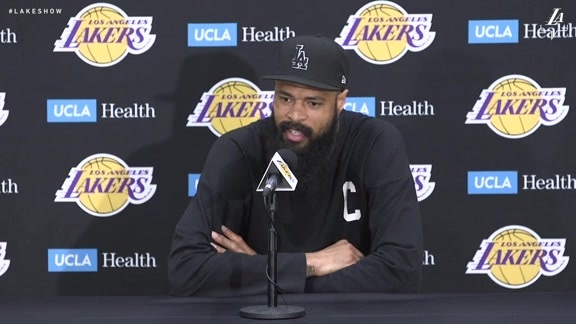 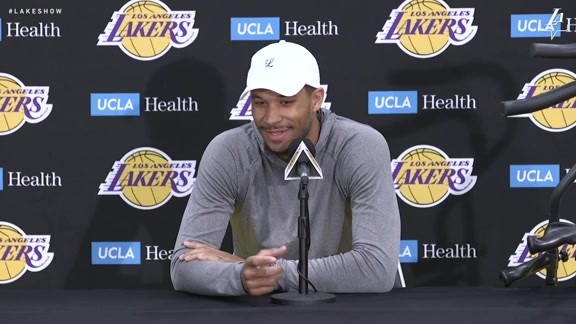 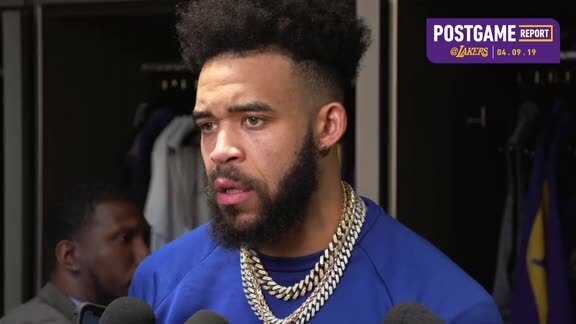 JaVale McGee talks about how it was a dream come true to play for the Lakers organization. 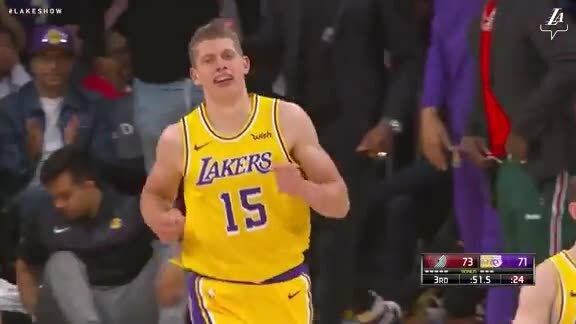 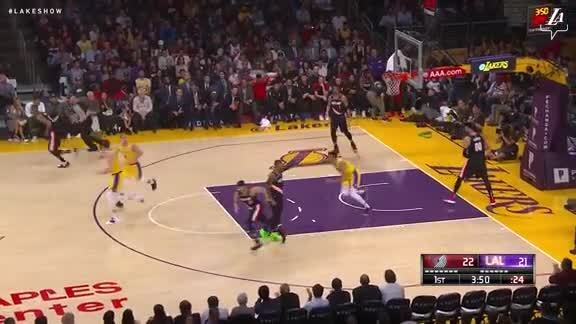 Caruso drives to the basket and lobs it up for JaVale McGee. 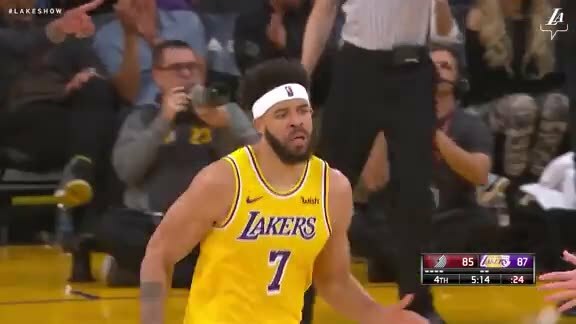 Moe runs the floor and flushes it home. 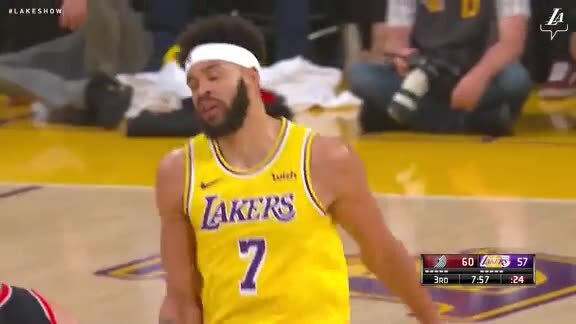 JaVale drops the hammer on Portland's defense, and Ice Cube approves. 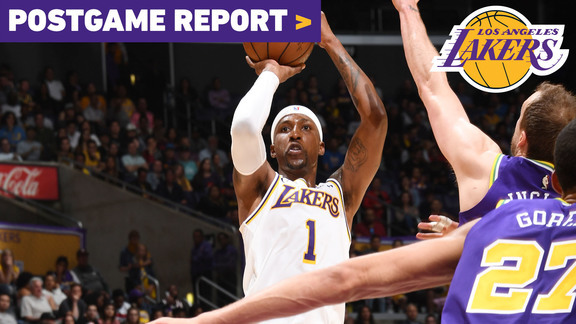 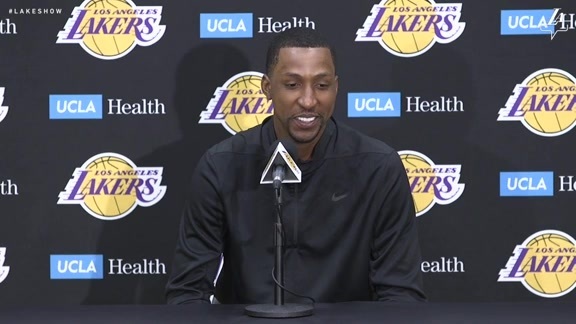 Kentavious Caldwell-Pope caught fire late, scoring 18 of his 32 in the final frame to lead the Lakers to a 113-109 victory. 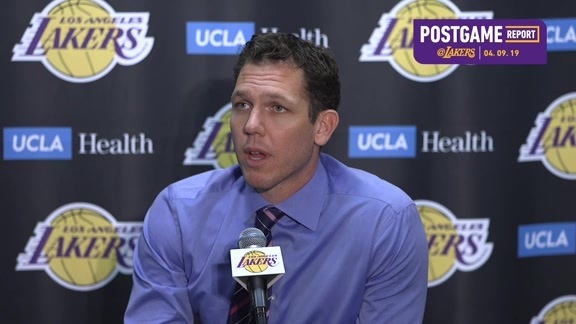 Joey Ramirez and Mike Trudell break down the win.